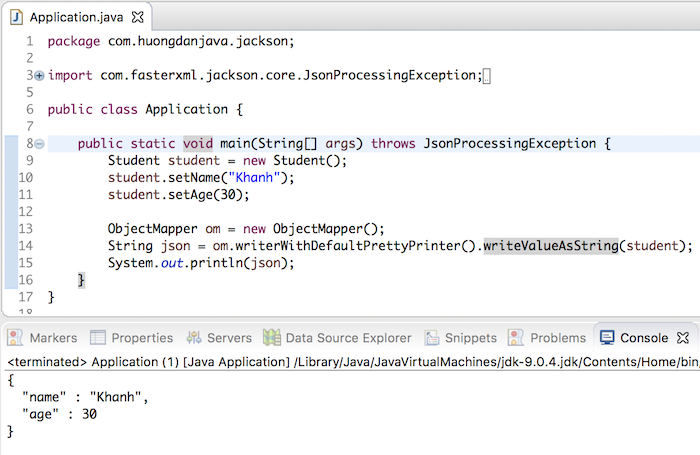 Jackson is a standard library for handling JSON-related issues in Java. 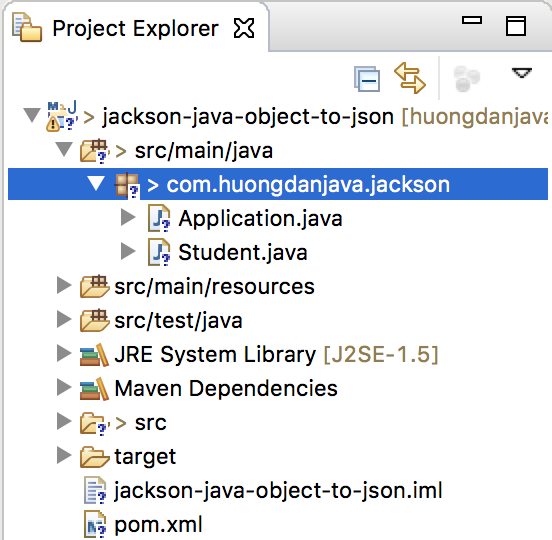 In this tutorial, we will learn how to convert Java object to JSON using Jackson library. OK, let’s get started on our topic. 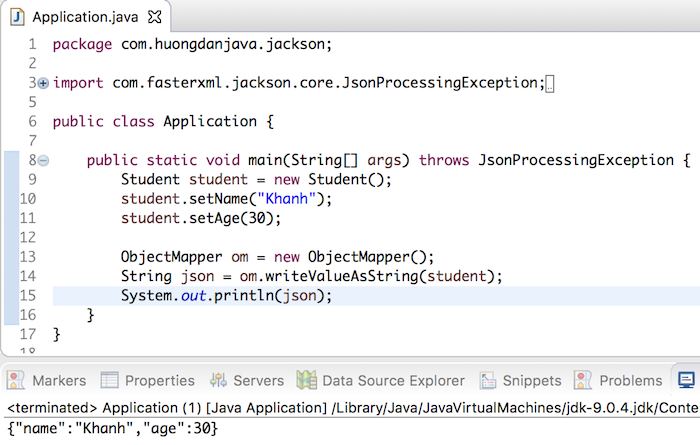 To convert this Student object to a JSON string, I would use the ObjectMapper object in the Jackson library to do this.